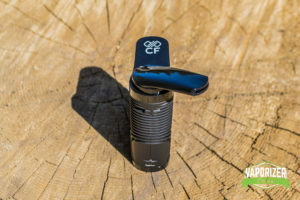 The CF Vape is the second vaporizer to be released under the brand Boundless. Designed to be simpler more on the go version of their Flagship release the CFX the CF is much the Crafty to the CFX’s Mighty. The packaging like with most Boundless packaging features a nice weighted black and blue branded box with a picture of the vape on the front. Inside you’ll find your Boundless CF unit and the following accessories; USB cable, pick tool, brush, and an oil/concentrate can. The design is very similar to the CFX with the sweeping black ridges on the exterior shell. What is different is the missing digital screen and dual charging capabilities making the unit smaller overall than the CFX. The device feels solid in the hands, not at all like a plastic vape feel. In place of the digital screen, you’ll find 5 led lights that indicate which of the 5 preset temperature settings that setting you select. The lights also indicate your battery level, to check the battery you give the power button a triple click and the LED lights will Illuminate the battery level. 1 LED light denotes a low battery reading while a 5 LED light reading is a full battery. Sitting at $129 retail it is $40 cheaper than their larger CFX. If the precision temperature and “dual charging” isn’t that big of a deal to you then it’s worth saving the bit of extra cash and getting a nice big bag of weed to vape with this device instead.  As we sit down with the Boundless CF for the first time it’s worth noting a few things. It is much smaller than the CFX before it so it sits better in your hand, although it’s probably still a little too large for your average pocket. We also notice the 5 LED light display which indicated your temperature setting. The CF has 5 temperature settings that are pre set on the device (355°, 370°, 385°, 400°, 415°). For our first session, we are going to be using the second and third settings of 370° and 385°. To load the CF vape you need to remove the top chamber and mouthpiece, to remove the cap turn it counterclockwise from the vape then lift up. Load your herbs directly into the ceramic oven of the CF, you’ll see a small metal screen at the bottom of the oven to prevent herbs clogging your airpath. Load enough herb until the oven is full up to the edge of the white ceramic then replace the top cap simple as that we’re ready to vape. Like many vaporizers, 5 clicks powers on the device which heats up very quickly less than 1min on average. To toggle and change between the 5 different temperature settings on the CF you simply double click the power button and the lights will cycle between the different settings. The first few minutes we spent on setting 2 370°, like with most conduction vaporizers the CF tasted great however at such a low temperature it gave little visible vapor for the first two or so hits. By the third hit, the vape was warm and starting to give larger vapor clouds however the terpy freshness of the bowl had gone and was now a steady herb vapor taste not bad but just something I noticed. About 5 minutes into my first bowl I decided to switch to setting 3 385° to finish up this bowl. Right away the vapor clouds became thick and dense giving a good throat hit and a heavy feeling in the lungs which is expected when vaping at these higher temperatures. Chooo Chooo this vape is blowing clouds like a train at this setting. The wide slit on the mouthpiece of the CF vapes have always delivered a concentrated amount of vapor directly onto your pallet to give you a full body vapor pull. On this third setting, each hit fills and fills my lungs to their capacity with rich herb vapor. Making the latter half of the session hard to tough out all by myself. After our first sesh let’s inspect the ABV that remains. At first glance, the herb looks a light brown but slightly green color almost akin to a convection style of vaporization where the herbs are evenly vaped. After dumping out however you see the presence of the conduction heating method of the CF with a darker richer brown color. Such is typical with conduction vapes nothing to be concerned about. Kind of wish I had given the bowl a stir halfway through the session to have had a more even vape. After a weeks use with the CF it is clear that this vape is designed for a beginner user with sparring usage habits or an at home only user. 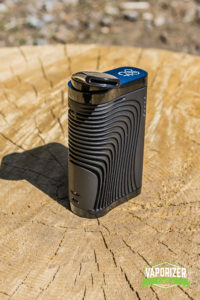 The vape is large bulky so it’s not the most portable for open public use, however perfect for tossing in your bag for a day hike or a private outdoor event. The simple UI and operating system doesn’t leave much to talk about 5 settings the temps are written on the side short and simple if you want more buy the CFX I suppose. The main shortcoming of this vape and why I said it is good for an at home beginner user is the battery life. When fully charged I could only get about 2 and a half sessions out of the vape 35-45 minutes of usage time. 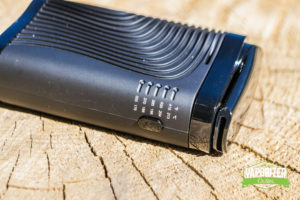 This might be enough for your average user but for a heavy medical user, you would be struggling to use this vaporizer without reaching for the charger. The charging of the battery is also on the slower end with USB the CF takes about 3-4 hours to charge fully it would have been really nice to have the 9v charging capability of the CFX on this little guy also. If you think you will need to vape for longer than 45 minutes in a day the CF might be that vape you leave plugged in at the house waiting to be used. Vaping with the CF for a week was actually quite nice despite the minor inconveniences that I mentioned. It was very easy to load and unload whenever I would need to use it. Also, it’s simple interface makes it easy to operate without to much mental effort. 5 clicks and you’re good to go. I also like the mouthpiece of the CF the more and more that I use it. At first, I thought the wide mouth of the straw was awkward to inhale from but I find that it helps you draw in the vapor at a slow and steady rate ensuring that you not only get a good mix of fresh air and herb vapor with every hit. It also makes you do a deep inhale rather than a quick little hoot that may not be as effective. Another thing with the CF is that is seemed to always give the same result regardless of how you packed the bowl. A lot of vaporizers are very particular with how you load the oven. Whether you load in ground herb or little chunks, or even full nugs can make a huge difference in your vapor production with some other vaporizers. With the CF I found consistent results no matter what the pack was which is very nice when you’re in a hurry and aren’t really focused on how you’re packing your vape. Using ground herb or coarse chunks did give the best results from all of the various packing methods that I tried. Also making sure to pack the bowl tight and full is very important. This is a conduction style vaporizer, what that means is that your herbs are heated via conduction heat or the heat that the herbs gain from the walls of the ceramic oven. See what happens is that your oven heats your herbs which causes them to sweat and steam the different cannabinoids that are present in your herbs to make vapor. The most popular Cannabinoid being THC. To have the CF and other conduction style vaporizers work properly you will need to have the vape packed full so there is maximum contact with the walls of the oven. The more contact that there is the more even the heat will distribute and the more vapor you should get. If you are trying to keep your CF day one clean I have to recommend one thing right off the bat. EMPTY THE CHAMBER AFTER EVERY USE. The CF vaporizer has a white ceramic oven with these ovens if you leave your herbs inside your vaporizer to cool and sit for long periods of time they will stain your bowl walls over time and look really nasty. While it won’t affect function or taste it will make your vape look kind of funky. To clean the bowl simply empty the herbs and scrub the walls of the oven with the provided brush. You can use a small piece of tissue with alcohol to swab out any dirt or residue. The other piece you need to clean is the mouthpiece and top chamber. The top chamber pulls apart into 6 pieces. The straw is removable and can be soaked in alcohol to clean. The top and bottom of the top chamber also pull apart to expose the air path which will need to be soaked and wiped clean. The bottom part of the top chamber has a small metal fitting that holds a small screen in place. You only need to disassemble this piece when changing out that little screen. For regular cleaning leave, this part assembled as it is a little tricky to put back together. Overall the vape is found wanting in only a few minor aspects. It could do with a better UI of sorts the 5 lights and writing on the side is a little lame and the battery could definitely be better for such a large vape. However aside from those little nitpicking details, this is still a solid vape perfect for a beginner looking to get their feet wet with.  It’s affordable and very simple to use for anyone who has never used a dry herb vaporizer before it is an easy leap into a new way of consuming your cannabis. The vape is quick to heat and delivers flavorful vapor with every session that you will assuredly enjoy.